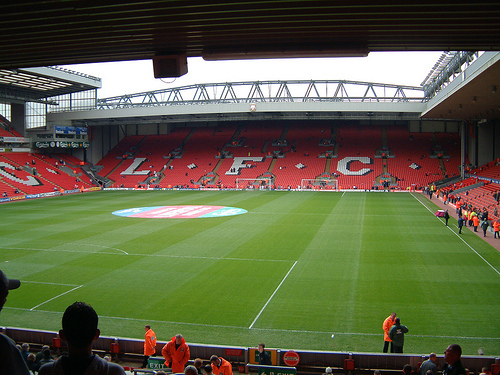 Liverpool will be hoping to bounce back from their midweek loss when they entertain QPR at Anfield on Saturday afternoon. The Reds saw their hopes of finishing in the top four take a huge blow after losing 1-0 at Hull City on Tuesday night to leave then sitting fifth in the table and seven points adrift of Manchester United with just four games left. Brendan Rodgers insists his side will continue to fight until it’s mathematically impossible for them to qualify for the Champions League but realistically it looks like they are now in a battle with Tottenham and Southampton for the Europa League spots. Queens Park Rangers arrive at Anfield in desperate need of points as they sit 19th in the table and four points from safety following last weeks 0-0 draw at home to West Ham. Liverpool welcome back midfielder Lucas Leiva after he recovered from a thigh injury that ruled him out of the last three matches. Daniel Sturridge could miss the rest of the season after being sent to the United States to see a specialist because of a niggling hip injury. Striker Mario Balotelli is also ruled out with a foot injury sustained in midweek so Raheem Sterling could start up front. 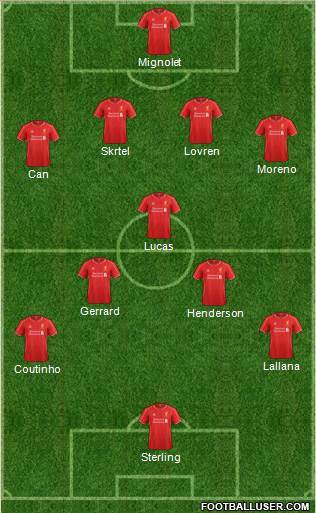 Mamadou Sakho is still out with a hamstring problem but Steven Gerrard returns after being rested against Hull. Alberto Moreno is expected to be back in contention after missing the last two games with a knock but Jon Flanagan has been ruled out for another six months with a knee injury. QPR are sweating on the fitness of Bobby Zamora as he’s a doubt with a long-standing hip injury, but Leroy Fer is set for a recall after recovering from a knee problem. Rio Ferdinand is unlikely to feature while Eduardo Vargas and Alejandro Faurlin remain sidelined with knee injuries. Liverpool 2-0 QPR: The Reds have been in poor form of late and are certainly struggling without Sturridge up front. However, QPR have an awful away record this season having picked up just 7 points on the road so I think Liverpool will secure a morale-boosting win. Liverpool are the 2/5 favourites to win the game but Football-Talk can get you enhanced odds of 3/1 for a Liverpool win, plus you’ll get money back if you lose and up to £100 in free bets. My prediction of 2-0 is on offer at odds of 6/1 while I also like the look of Raheem Sterling to open the scoring at 4/1. If we combine those bets in a scorecast then we get very tempting odds of 16/1. Surely that’s got to be worth a couple of quid! ?